Arizona Camp Sunrise offers a special, award-winning program to children whose lives have been affected by cancer. They started in 1983, and an important compliment to the overall program was the launch of the Sidekicks program (1988), designed for the siblings of campers who have or have had cancer. Fun, safe and medically staffed environment is provided to thousands of children, ages 8-18. A medical center, a dining hall, a kitchen and seven residential cabins make everyone’s stay comfortable and carefree. Arizona Camp Sunrise and Sidekicks are an accredited member of ACA (the American Camp Association) and COCA-I (Children’s Oncology Camping Association, International), which ensures high standards in all aspects of camp management - more than 800 guidelines should be properly followed to maintain the achieved status. 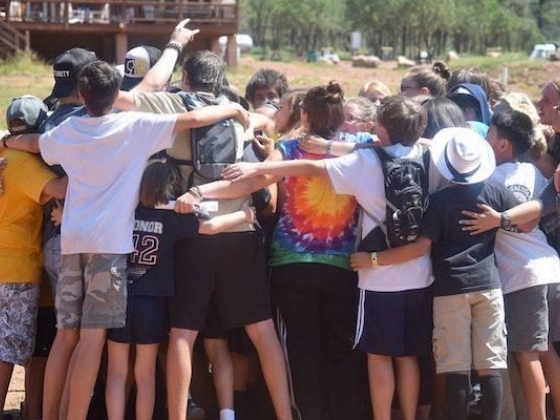 With full consideration of campers’ special medical needs, Arizona Camp Sunrise is committed to “give kids a “normal” summer camp experience”, thus offering traditional camp activities: horseback riding, hiking, singing, arts & crafts, drama, dance, magic, scrap booking, cooking, etc. Special events include The Carnival and the Oh-so-sticky Jello War.